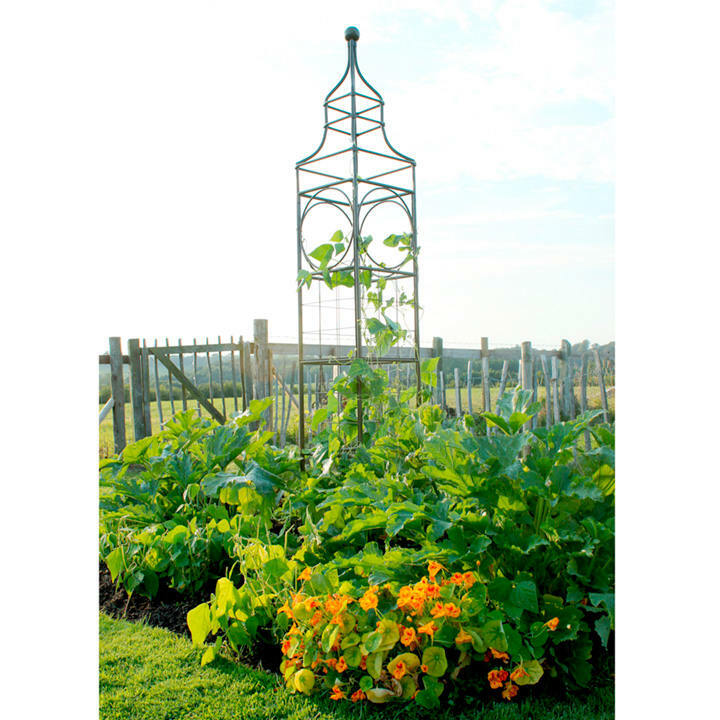 Sturdy, fully galvanised steel structure with high quality powder coated finish. Easy to assemble and disassemble for winter storage. Perfect for climbing beans, sweet peas, cucumbers, gourds, squashes and melons. Big Ben: Only 40cm square of bed space required. 40cm x 40cm x 2.4m high.